Today everyone is looking to “go green,” but it often means paying more for packaging which does not reach the desired performance criteria. At Accredo Asia, we believe that, with the right combination of equipment, people, and innovative practices, “going green” can be achieved even with the most challenging applications, without necessarily costing more. We achieve state of the art, yet environmentally responsible flexible packaging conversions by combining the best people in the industry with the latest available technologies. 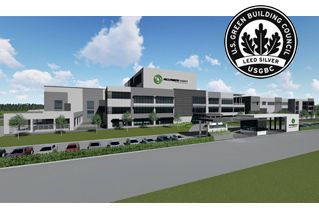 Our commitment to responsibly produce the best in flexible packaging begins with our state of the art, 22,000 m2 LEED® Silver manufacturing facility. Our work environment encourages innovation and the use of best practices to solve the most demanding flexible packaging requirements. We trust you will find our quality, service, and performance second to none. Put your faith in Accredo Asia Packaging to responsibly solve your packaging needs…because We Believe. Accredo Asia manufactures and supplies sustainable high added value flexible packaging predominantly for the pre-packaged foods and consumer products markets throughout southeast Asia. © Copyright 2017 Accredo Asia Co, Ltd d/b/a Accredo Asia Packaging with portions of this website © Accredo Packaging, Inc, under license as an affiliated company. All rights reserved. The registered trademarks of Accredo Packaging Inc., provided under license to Accredo Asia Co, Ltd d/b/a Accredo Asia Packaging.